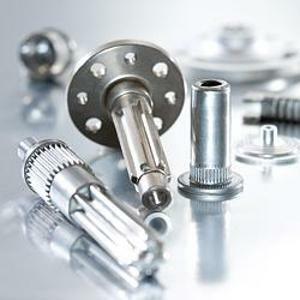 WALTER SCHNEIDER GMBH, Oteluri si metale - modelare si taiere, Contact pins, Pressed parts, pe EUROPAGES. Our family-run business was founded in 1954 and has a long tradition in successfully developing and producing extruded parts. Thanks to the use of state-of-the-art technology, we are able to offer cost-effective cold formed parts of premium quality and optimum strength. Our work is distinguished by our high level of production expertise, innovative developments and proactive, close partnerships with mostly long-standing customers. Our customers' trust is based on impeccable quality, reliability and intensive, solution-oriented advice. Customer satisfaction, together with the trust-based cooperation of our highly qualified experts, is the guarantee for the long-term success of our business. 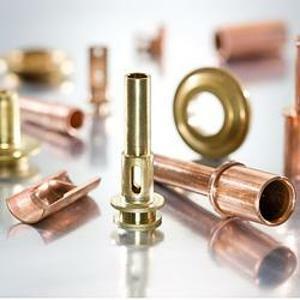 We machine aluminium, copper, brass, stainless steel and various steel alloys, as well as pure iron and special materials made from iron-nickel compounds such as Vacodil, Vacon and Permenorm.